Michael is the founding partner of O’Neill Partners. 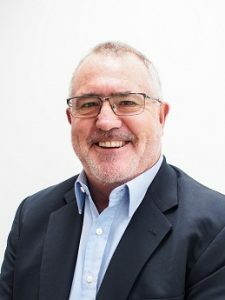 He commenced practice in 1981 and, prior to O’Neill Partners, was a senior litigation lawyer with one of Australia’s largest national firms. Michael is the head of the firm’s insolvency and reconstruction team and acts for secured and unsecured creditors, administrators, liquidators, bankruptcy trustees and other insolvency practitioners across a range of industry sectors. Michael also advises individuals, boards and company directors on all aspects of insolvency law, ranging from preference recoveries to complex misfeasance proceedings. Michael also specialises in dispute resolution and commercial litigation and has handled matters in all jurisdictions including the High Court, Federal Court and the Supreme Courts in relation to most types of commercial matters, including competition and consumer law issues, corporations law applications, contractual disputes and recovery matters for lenders. Michael has acted on a number of complex and high profile insolvencies, including acting for the special purpose liquidator of a large telecommunications company in relation to all aspects of his appointment.